For people who suffer with tinnitus, there is no silence, no quiet moments, only "noise". Noise that sounds like ringing, roaring, buzzing, humming or whistling which is only audible in one's ear. Clear Tinnitus an exciting new breakthrough for sufferers of Tinnitus. Clear Tinnitus helps you cope with the effects of tinnitus by reducing the noise in your head naturally. Clear Tinnitus is a unique homeopathic remedy formulated for the temporary relief of Tinnitus. 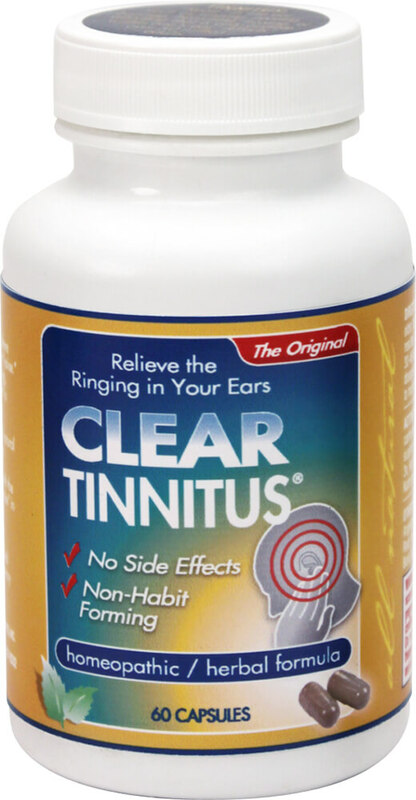 Clear Tinnitus also contains a proprietary herbal formula.